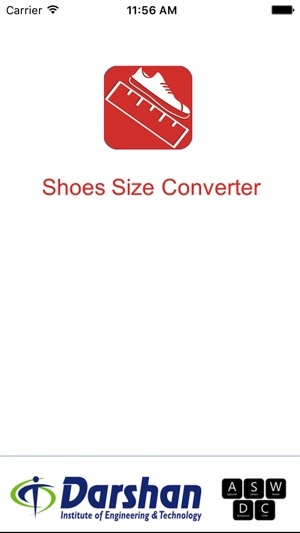 Shoe Size Converter is an app that help you convert a shoe size from UK to US or vice versa. 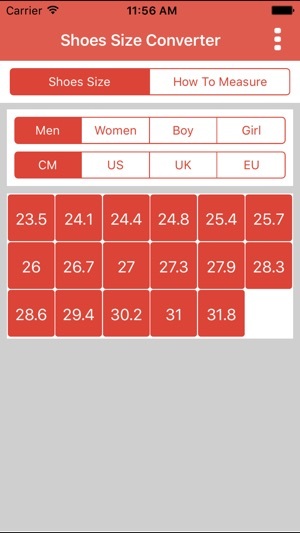 You can find shoe size conversion for men and women in this app. 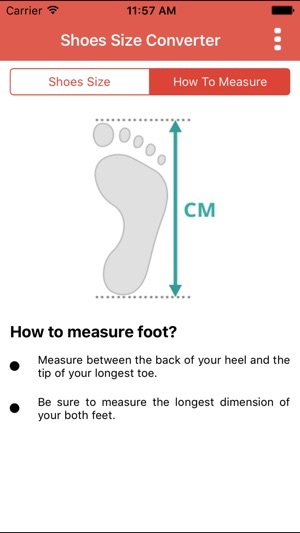 Using this app you will never need to use shoe size conversion chart. 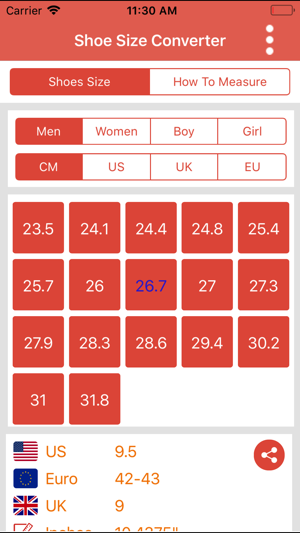 It has a very simple UI and an amazing interface to start with. 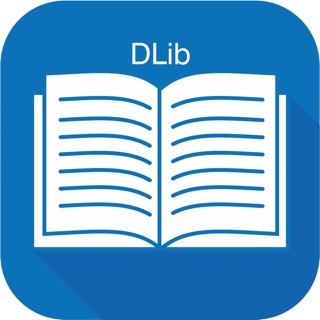 You can share the app with your friends and family members.